Great Freeride and Freerace gybe-tutorial from the windsurfing legend Guy Cribb. If you are into Freerace and Slalom Race Gybes also have a look at Dan Ellis and Kurosh Kianion slalom training session. 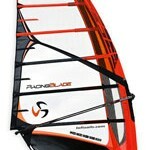 Buy the full Intuition Windsurfing Instructional DVD from AMAZON.